TUESDAY, Dec. 22, 2015 (HealthDay News) -- Young children may suffer minor, but lingering, brain damage from a single concussion, a small study suggests. The findings don't prove that a single concussion caused the differences that were revealed in brain scans and thinking tests that were given an average of two years after a reported concussion. And even if just one concussion did some damage, it's not clear that the children suffered any noticeable neurological problems, the researchers added. But the results raise further questions even if the kids aren't currently suffering any ill effects, said Dr. Christopher Giza, a professor of pediatric neurology and neurosurgery at David Geffen School of Medicine and Mattel Children's Hospital in Los Angeles. "The fact that they can detect this makes you wonder: What about when they get older and they start to have normal age-related cognitive decline? Will they show problems sooner? And what about kids with a history of multiple concussions?" asked Giza, who was not involved in the study. Concussions have become a major issue over the past few years as the public has learned about brain damage to athletes -- from pro players to children. Much focus has been on high school athletes, but younger kids also suffer concussions due to accidents and sports mishaps. Research is mixed on the prognosis for children who suffer concussions, with some studies suggesting they recover smoothly and others hinting at measurable damage, Giza explained. There's been less research into the youngest kids, he said, in part because it can be hard to study them. In the new study, researchers led by Charles Hillman of the University of Illinois at Urbana-Champaign and Davis Moore, an Illinois graduate now at the University of Montreal, gave brain scans and thinking tests to 15 kids aged 8 to 10 who said they had been removed from sports games due to concussions. They had suffered the concussions six months to four years earlier; all but five were male. The researchers compared the participants to 15 similar kids who hadn't suffered concussions. The researchers found that the brains of the concussion sufferers showed signs of "subtle yet pervasive" disruptions in terms of attention and thinking skills. It's unclear what this means for the rest of their lives. "My guess is that they don't notice any difference on a day-to-day basis," Giza said. Giza cautioned that the study was very small, making it impossible to generalize the results to kids in general. Dr. John Kuluz, director of traumatic brain injury and neurorehabilitation at Nicklaus Children's Hospital in Miami, agreed. Kuluz said the study findings are fuzzy since there's no way to know how the kids were before their injuries. In addition, he said, there's a potential for bias in how the children were chosen for the study. The kids were not randomly selected. Instead, researchers recruited them through an online bulletin and youth athletic organizations. 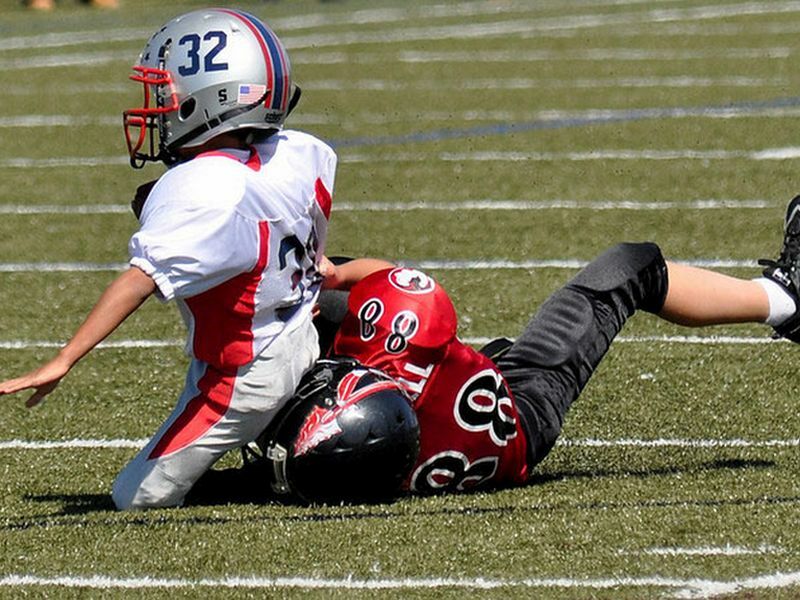 What should parents do to make sure their kids don't suffer lasting problems from concussions? The good news is that kids typically recover, Giza said, but it is crucial to protect them after a head injury. "When in doubt, sit them out," he said. "If you suspect a concussion occurred, a parent or coach doesn't need to diagnosis it on the sidelines. But they should protect the athlete from getting worse and get them evaluated by someone who knows about concussion." The study was published in the December issue of the International Journal of Psychophysiology.